New Orleans I knew it was coming, but I had crossed my fingers and hoped that it would not be so devastating. Unfortunately the numbers are in and minorities especially have taken devastating downturns in their citizen wealth or basic assets during the recession pushing previous progress back a generation. Part of the reason this economic beat down was not surprising, as I detailed in Citizen Wealth: Winning the Campaign to Save Working Families is that so much of low-to-moderate income wealth has been tilted to home ownership by government policy and personal practice. With foreclosures soaring and values cratering in community after community for millions of homeowners, especially newer homeowners, losing a house was an asset knockdown. The one-two punch of losing a house and job was an out for the count knockout! Throw some more ringers into the ring like credit card and educational debt, and it is easy why families are on the mat. At this point the family or household citizen wealth is less than the value of a half-decent used car for Hispanics and African-Americans, and it’s a car with 80000 miles on the engine! Make no mistake. This is not only an economic catastrophe, but a huge political problem for President Obama and the Democratic Party. People going to vote next year notice when they hardly have car fare and lost between a quarter and two-thirds of their money in the short space of 4 or 5 years. That’s not a feel good, “hopey” dopey moment for folks who are depressed when they go to pull the lever. 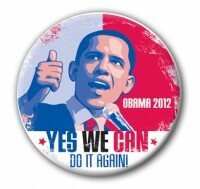 If the time for a change isn’t now, and I mean right now, then it is going to be hard to resist change in November 2012. This entry was posted in Citizen Wealth, National Politics and tagged Citizen Wealth, credit card debt, educational debt, Pew, presidential election 2012, recession, US Census by wade. Bookmark the permalink.